Pentax has announced the new HD Pentax-FA 35mm f/2 AL lens, an update to the smc Pentax-FA 35mm f/2 AL lens, the new lens is compatible with full-frame and APS-C Pentax DSLRs. Pentax has announced the new HD Pentax-FA 35mm f/2 AL lens, an update of the SMC Pentax-FA 35mm f/2 AL lens, a full-frame lens that works on full-frame Pentax DSLRs as well as APS-C DSLRs. The new 35mm f/2 AL lens features an updated exterior design to match current cameras and lenses. The lens has gone through a complete review of the "entire lens coating process." The new HD coating reduces ghost images, and improves anti-reflective performance, giving improved light transmission. There's a fluorine coating on the front surface of the lens, to protect the lens and repell water and grease, as well as dust, water drops and oils. It should also make it easier to clean the lens. The lens also features an aspherical element at the rear of the lens. The lens will be available from 22nd February 2019, with an RRP of £399. From Pentax: A single-focus, wide-angle lens for use with K-mount digital SLR cameras, featuring latest lens coatings to further upgrade image quality. London, 30 January 2019 - RICOH COMPANY, LTD. and RICOH IMAGING EUROPE S.A.S. 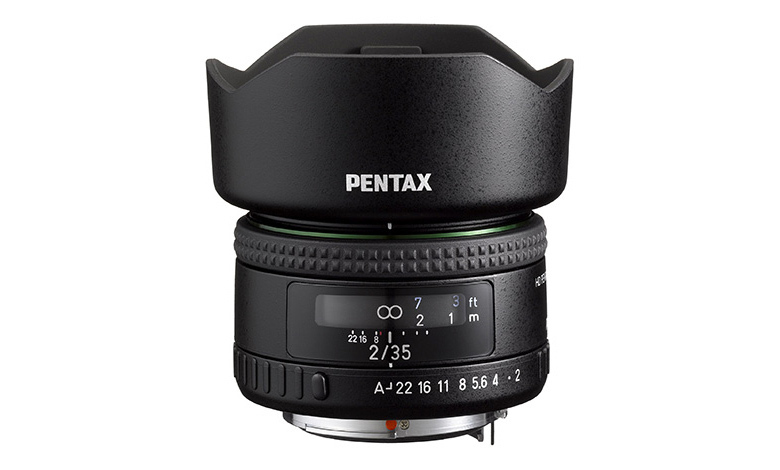 are pleased to announce the launch of the HD PENTAX-FA 35mmF2. Despite its compact dimensions, this high-performance wide-angle lens covers the full-frame image circle of PENTAX K-mount digital SLR cameras. After a thorough review of the lens coatings applied to the popular smc PENTAX-FA35mm F2 AL, PENTAX applied the latest HD Coating* to this lens. While retaining the overall size of the original smc PENTAX-FA35mm F2 AL, this lens features a totally new exterior design, similar to that of the latest DA- and D FA-series lenses. This new appearance makes this single-focus lens a perfect partner for latest K-series digital SLR models. I don't have the old SMC version of this lens, using the DA35 instead. However, as this has come out and cheaper than the older one, I will certainly be purchasing it. Nice one Ricoh/Pentax, are you planning to do more of the FA primes and Limiteds this way? I hope so. I don't have the old SMC version of this lens, using the DA35 instead. However, as this has come out and cheaper than the older one, I will certainly be purchasing it. Nice one Ricoh/Pentax, are you planning to do more of the FA primes and Limiteds this way? I hope so.